Drawn from my lovely Pyrex measuring cup! 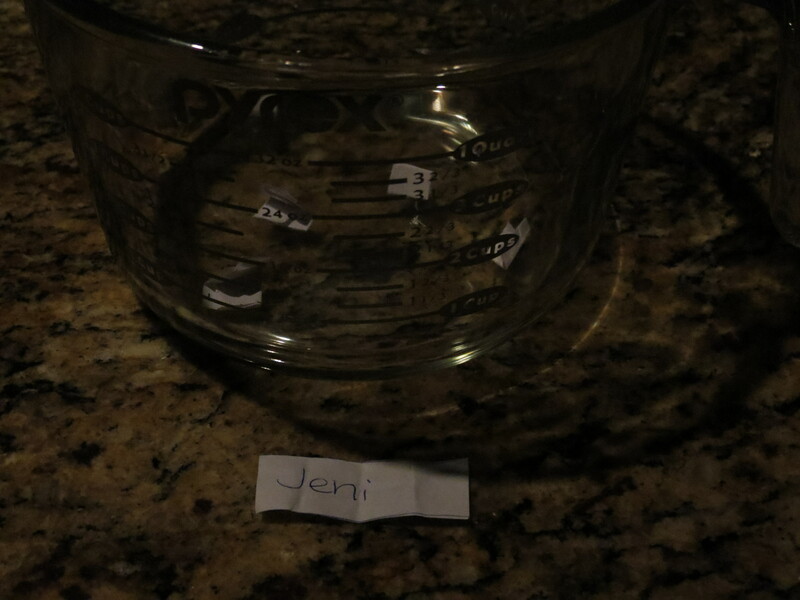 This morning, after drawing Jeni’s name out of the cup, I discovered that Jeni is the author of a lovely blog called “Thyme and Love”! Check it out! We are both plant-based vegan. 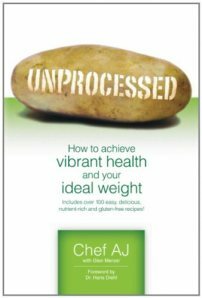 UNPROCESSED is a perfect match for Jeni, since she’s been experimenting with gluten free foods and recipes. Congratulations to Jeni on her upcoming graduation and wedding! I can’t wait to follow your journey and move to Mexico! If I can ask one small favor? Please take some photos of the art as well as the food! Thank you so much to Chef AJ for making this drawing possible! Just curious! Where in the world are you located and what kind of work do you do in your community? Thank you again for the giveaway! I am excited to read this book!